I kept wondering what kind of Chartres attractions and activities I can do to enjoy my days... but that was in my early days in the city. But still I will not argue that Chartres is a small city, some people even say it's a village, and this can make you think that there is nothing you can do more in the city. 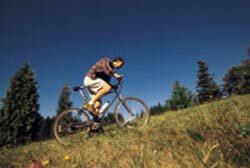 However you can do swimming, sightseeing, visiting museums and historic places or a bike tour all year, depend on the weather conditions. So I think you have no choice but to check out Chartres events calendar to know what things to do or see on the day you are in Chartres. 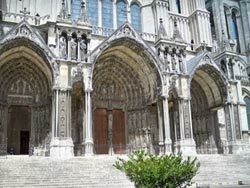 The #1 tourist destination in Chartres - listed in UNESCO Heritage Site since 1979. Visit and discover the hidden gems of the cathedral like the crypt, the windows even a thrilling adventure to the north tower. 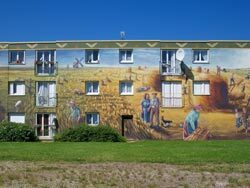 Maison Picassiette is an unusual house - a sample of naive art. 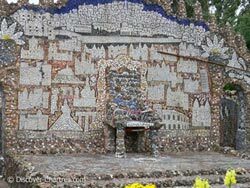 Raymond Isidore built his house and covered almost every corner of it with million pieces of crockery. The house has classified as a historic site in 1983. Visit the old city of Chartres situated along the Eure river - vielle ville. Discover the old bridges, old houses and old churches with guide on the white tourist train OR do a self guide tour. 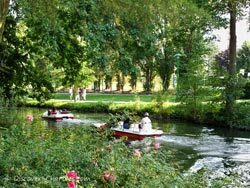 River cruising along the Eure river on spring and summer by pedalo boat, canoe or kayak - accessible from Parc des Bords de l'Eure, which is also known as La Petite Venise. A new tourist destination in Chartres - mural painting on the facades of four apartments with the typical theme of the region: the cathedral, the capital of perfume, La Beauce an Eure river bank. The largest aquatic and ice rank complex in France - named L'Odyssée. Not only offers swimming activities but also several activities like indoor scuba diving, ice skating, aqua gym and fitness. Also available on site restaurant and a beauty center. Visit Chartres on bike is possible! 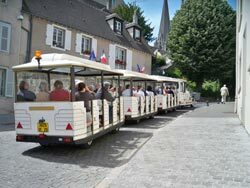 Self bike tour in solo, in family or group or Chartres bike tour with French Mystique Tours. Chartres hosts a prestigious stage in Tour de France 2012 - the Individual Time Trial, just before the final stage to Champs-Elysées. 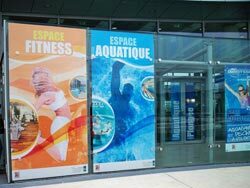 After two times hosting the national swimming competition in the last 2 years, L'Odyssée hosted the European Swimming Championship in November 2012.